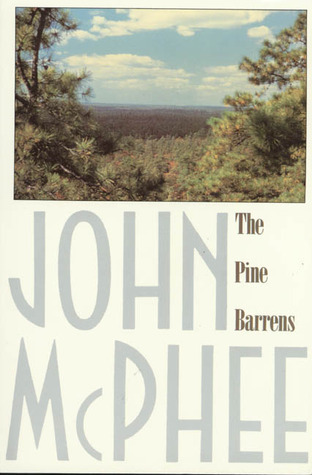 Step back in time to see the places made famous in John McPhee's book The Pine Barrens. Join Pinelands Adventures on a small group driving tour to visit many places described in John McPhee’s landmark book The Pine Barrens. While most of the characters that McPhee profiled have since passed on many years ago, many of the places he wrote about have remained largely unchanged. They’ve remained that way in large part because McPhee’s book challenged citizens and political leaders to find a way to protect the unique Pine Barrens ecosystem and culture from development that loomed on the horizon at the time. Participants in this tour will travel by van making stops and taking short hikes at places like Paisley, Apple Pie Hill, Hog Wallow and the Forks on the Mullica. Pinelands Adventures is proud to present two versions of this trip from two different guides, John Volpa and Barbara Solem. Each guide brings their own perspective and experience. Although both of these trips visit some of the same locations, participants will come away with a unique viewpoint of McPhee’s Pine Barrens from each guide. This trip is recommended for adults and children 10 and older . Each participant is also expected to bring their own lunch and beverages. John is responsible for Pinelands Adventure’s guided trips and education programs while helping with daily trips for paddlers. He has extensive history as an educator working and exploring in the Pinelands. Most recently he served as an environmental science teacher for more than two decades at the Indian Mills Middle School in Shamong. John facilitated Pinelands Preservation Alliance’s annual teacher education program for ten summer sessions. In his role as an Evesham Township Environmental Commissioner, he created the Black Run Preserve and is the Chair of the Friends of the Black Run Preserve. Join Pinelands Preservation Alliance and save 10% on your booking total. Enter code PPA Member at checkout.